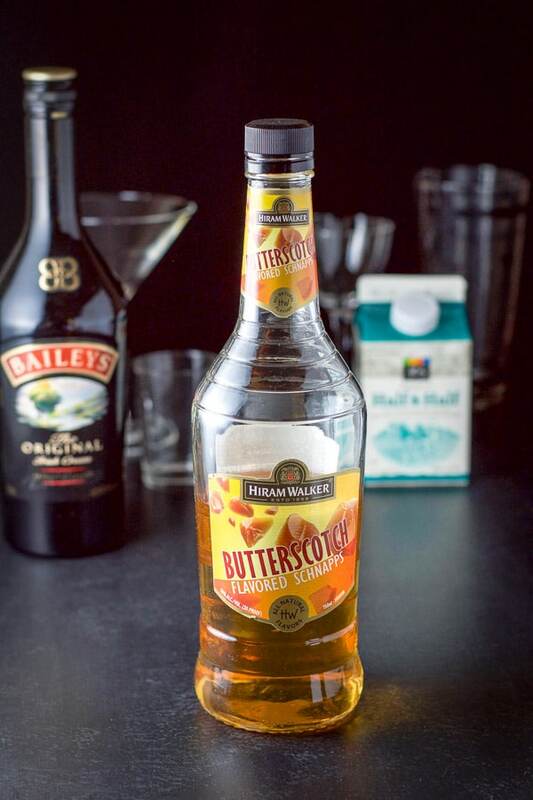 Drinking this butterball cocktail is like drinking your dessert! 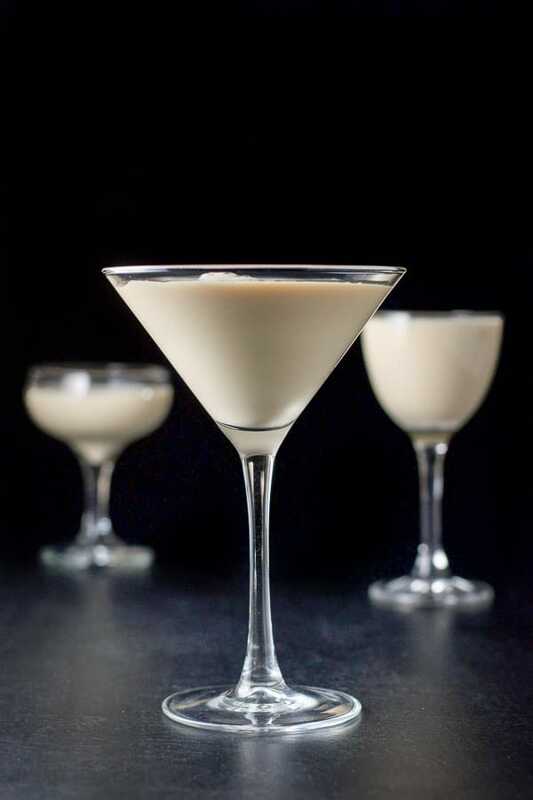 Its creamy, buttery taste is so delicious you’ll want to have more than one, so remember to sip! 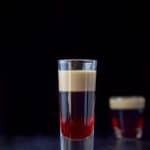 I conceived this cocktail because I wanted to make a martini-like drink from the layered shot I have made in the past with the same name. I still make the butterball shot. 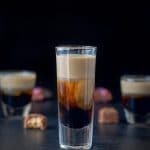 In fact, it is one of my favorites and in my opinion, the tastiest of layered shots! I know you won’t be surprised since I talk about cocktails and alcohol a lot, but did you know that I’m apt to smell liquor; that is, if I won’t be caught and look like a crazy person? Have you smelled butterscotch schnapps before? Sooooo good. Another great-smelling liquor is caramel vodka. Glorious. I can also be obnoxious by making people smell liquor that I think smells delicious. I know: weird. But people seem to like it and they are really kind to indulge me. I also enjoy having people smell the difference between a low quality, a mid level and a premium liquor! There really is a difference. You didn’t know that about me, did you? Aren’t you glad you know now? Use whatever dairy product you prefer. 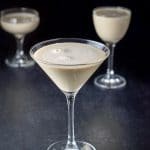 I use the half and half in this recipe when I’m in the mood for a richer tasting cocktail, but I have made this cocktail with milk when I want a lighter drink and with cream when I want to really be decadent. 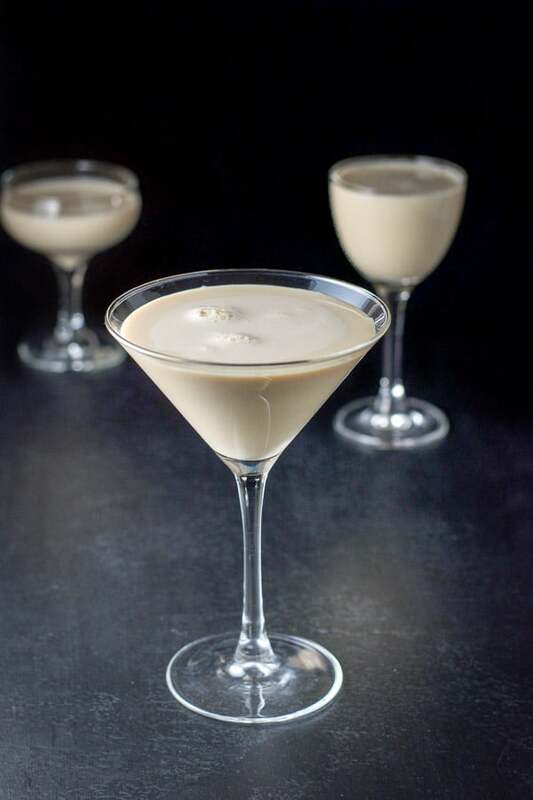 Even though Baileys has cream in it and if you don’t want a lot of dairy in the shot, you can also use a non-dairy ‘milk’ by using hemp, soy or almond milk. 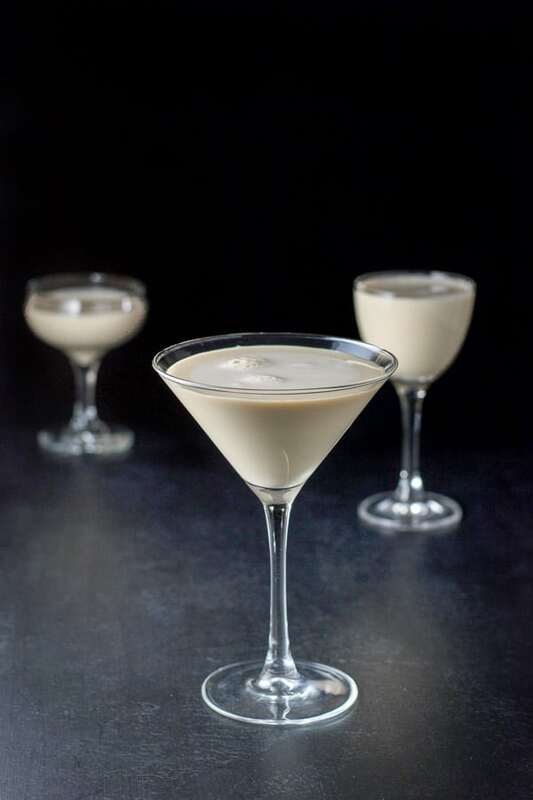 For an even lighter tasting cocktail, substitute RumChata for Baileys Irish Cream. Fill a cocktail shaker halfway with ice and get out two martini glasses. After measuring out the ingredients, pour them each in the cocktail shaker. 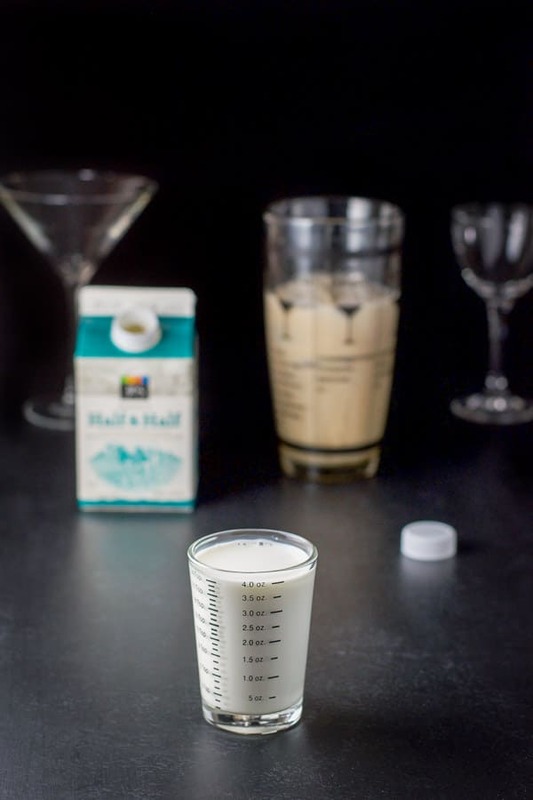 Gather the ingredients: butterscotch schnapps, Bailey’s Irish cream and half and half. 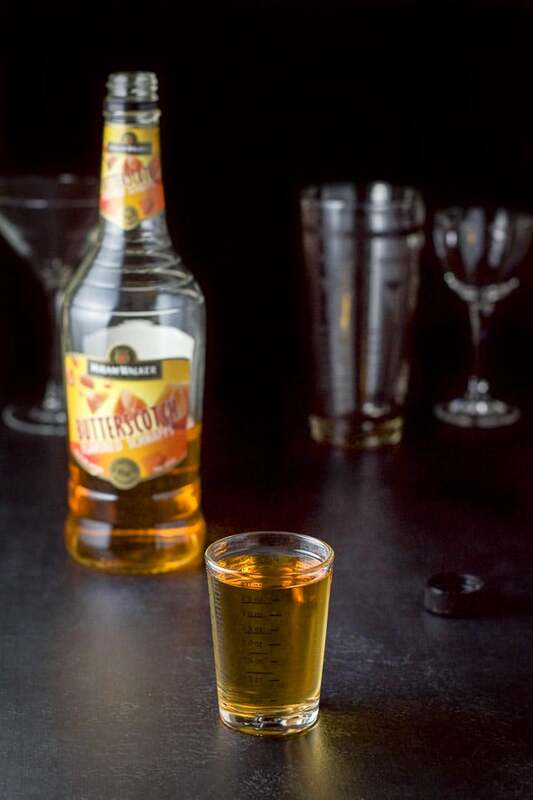 Measure 4 ounces of butterscotch schnapps. 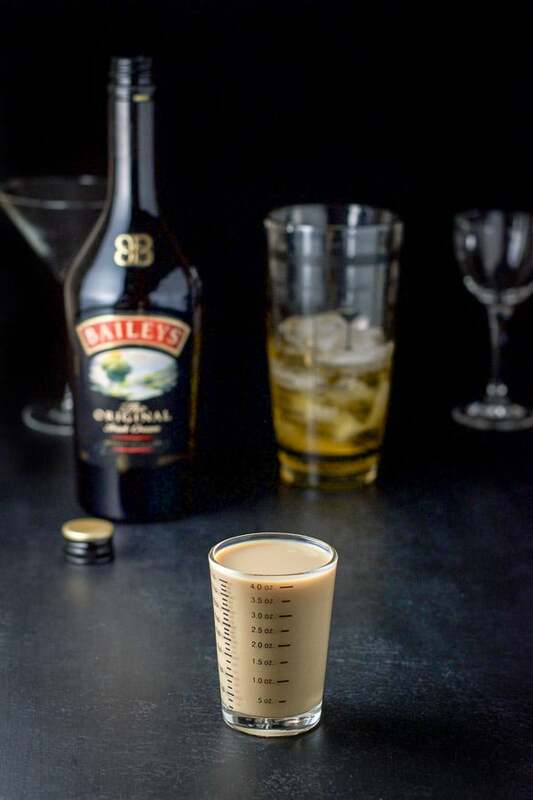 Measure 4 ounces of Bailey Irish cream. Measure 4 ounces of half and half. Cap the shaker and shake for 10 seconds. Strain the butterball cocktail into the martini glasses. I hope you enjoyed this butterball cocktail recipe. Let me know what type of cocktail you enjoy! If you’ve tried this butterball cocktail or any other recipe on the blog, I’d love the hear what you thought about it in the comments below. I love hearing from you! You can also FOLLOW ME on FACEBOOK, TWITTER, INSTAGRAM and PINTEREST to see more of my delicious food and delightful cocktails! This cocktail is dangerously delicious! Be careful because you may want to chug it! 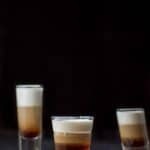 Even though Baileys has cream in it and if you don't want a lot of dairy in the shot, you can also use a non-dairy 'milk' by using hemp, soy or almond milk. Thanks Gabby! I love a negroni too. Stimulates the appetite!! Cheers! 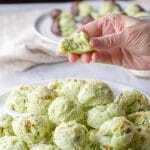 What a delicious way to use butterscotch schnapps! Indeed Ellne. It’s so good! Now that looks like something I could have today! Now! I love butter scotch and Irish cream.. so this is perfect for me. Sounds so rich and sweet! 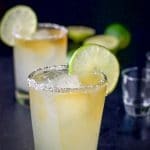 I love a creamy cocktail and this looks amazing! I am going to have to try this one ASAP! Thanks for sharing! Thanks Bintu, it’s awfully tasty! Mmm. This is sinfully delicious! This cocktail looks delicious! I love anything buttersctoch! Me too, Emily! Thank you! Wow, I REALLY like the look of this drink. Love, actually. I would definitely go for the half and half. The richer the better. 🙂 Cheers! Woohoo! My thoughts exactly! Thanks Valentina! A classic and delicious cocktail! I can’t wait until baby is born to enjoy a cocktail again. Oooo. Congrats! I hope you enjoy it when you do try it Dannii! I’m sure they will love it! Thanks Adrianne! Oh Lainey, you always get my full attention with your creamy cocktails, my favorite! Would love to spend an evening sniffing alcohols with you, I take it there’s a lot to learn from doing so! Lol! Yes, Patty, wouldn’t that be fun!? Thanks so much!